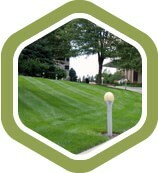 Buck & Sons, we offer complete lawn care services and landscape maintenance tailored to your commercial property. Our services include turf mowing, turf fertilization, shrub and perennial fertilization, pruning, tree care, pond and fountain maintenance and seasonal flower displays. 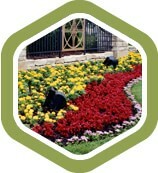 At Buck and Sons, we excel in professional landscape maintenance services. 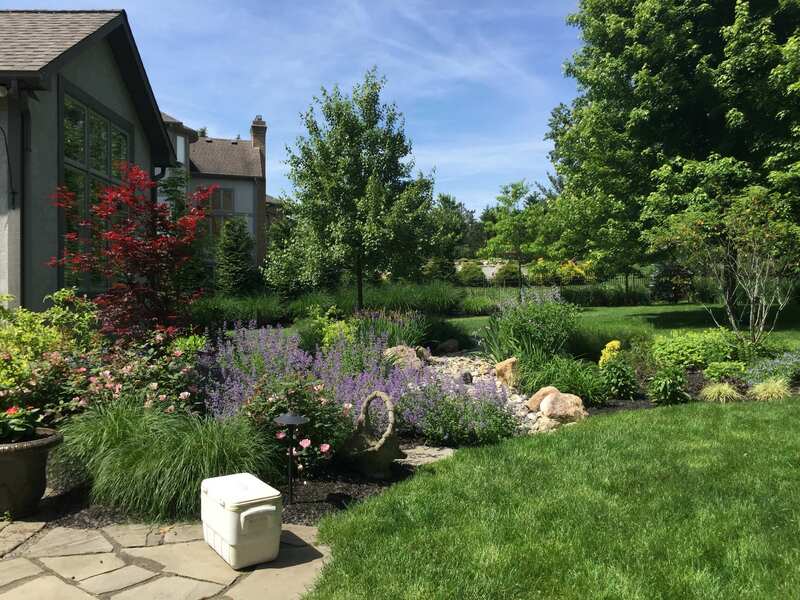 In our 44 years of business, we have won the most awards for our landscape maintenance services from our State of Ohio peers than any other single company in Ohio. 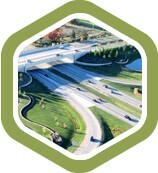 This includes awards from the Ohio Nursery and Landscape Association and the Ohio Landscape Association. Clients will judge your product and/or services based upon first impressions they get from the outside. 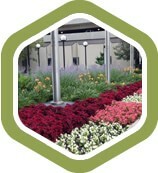 Employees take more pride in their place of employment when it has better curb appeal than those that do not. A number of studies report a variety of positive effects of plants both within the office environment and when visible to employees through windows to the outdoor landscape. Not only do plants improve employee morale, attitude and productivity, but they also reduce the reported incidence of employee illness and fatigue. A study by Professors Rachel and Steven Kaplan at the University of Michigan found that workers with a view of trees and flowers experienced less job pressure and were more satisfied with their jobs than those who had no outside view or only a view of buildings. At Buck and Sons, we can deliver landscape design solutions to make the most of your commercial property and enhance employee satisfaction. First impressions begin from the outside of any business for both clients and employees. Clients will judge your product and/or services based upon first impressions they get from the outside. 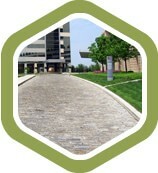 Employees take more pride in their place of employment when it has better curb appeal than those that do not. A number of studies report a variety of positive effects of plants both within the office environment and when visible to employees through windows to the outdoor landscape. Not only do plants improve employee morale, attitude and productivity, but they also reduce the reported incidence of employee illness and fatigue. 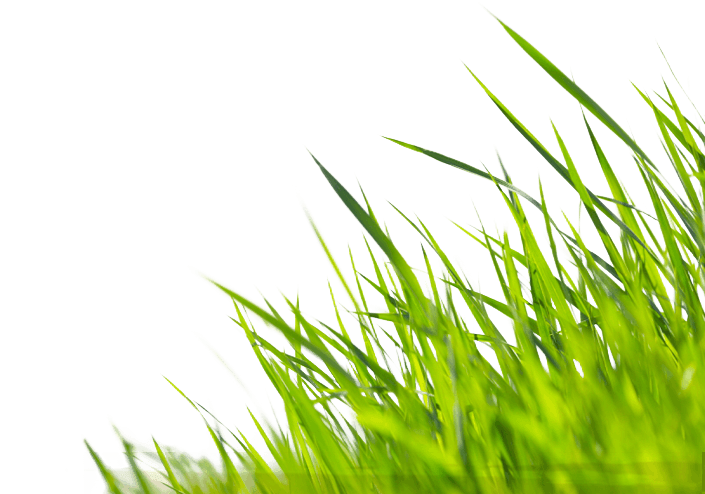 Have lush and beautiful landscapes around your commercial property while lowering your water usage by installing a well-designed lawn sprinkler system. 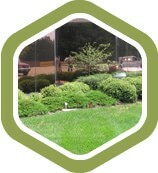 Buck and Sons designs and installs custom sprinkler systems, garden and lawn irrigation systems for commercial properties. From utilizing new “smart” irrigation controllers to drip irrigation, our systems will save you money while providing optimal plant health. 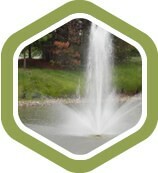 We specialize in RainBird and Hunter irrigation systems. As part of the effort to create functional outdoor living spaces and reduce energy use in commercial and residential buildings, Buck and Sons Landscape Service, Inc. is pleased to announce that we have been certified as an installer for "Live Roof" systems. 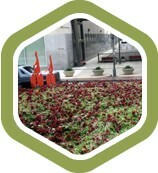 The advantages of a “Green” or a “Live Roof” system are numerous.